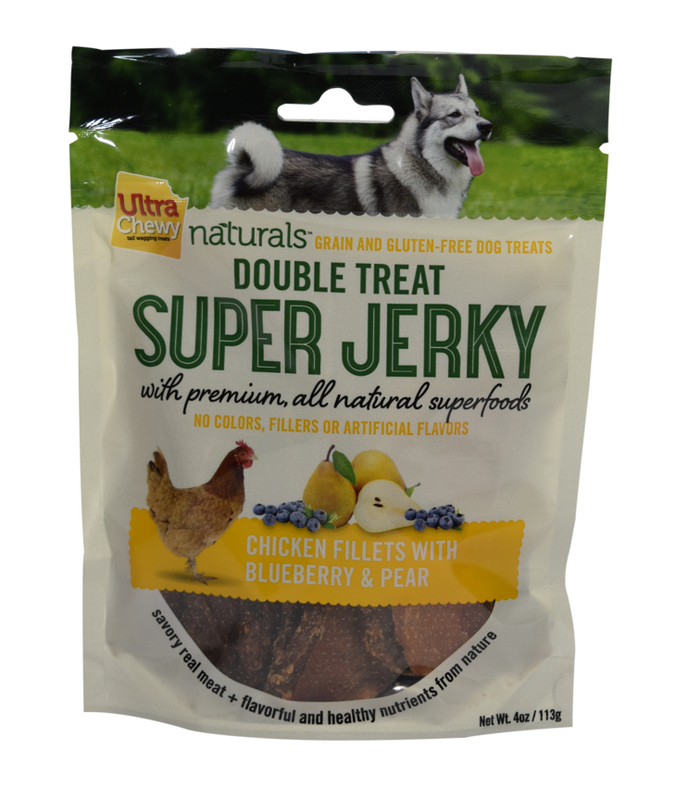 With these Super Jerky treats you can reward your best friend with a product that contains savory real meat and flavorful and healthy natural nutrients. The limited ingredient deck of only four ingredients contains no corn, wheat, soy, by-product meals or artificial preservatives, colors or flavors. Always supervise your pet while he is chewing a treat. Avoid giving the treat in a carpeted area or other location that can get stained. These treats are not recommended for animals with digestive problems, allergies/sensitivity to one or more of the ingredients, animals with teeth issues or recovering from surgeries, or aggressive chewers. To avoid stains, do not feed over carpeted area.